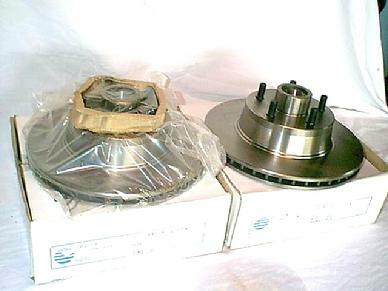 1965 1966 1967 Mustang, Cougar, Fairlane, Comet, Cyclone, , and Falcon Disc Brake Rotors. Raybestos/Aimco brand. Guaranteed Quality, Hundreds sold all over the world. Come with Races already installed. If you want EXACT a shipping quote, PLEASE feel free to call before buying. 1968-1969 Mustang, Cougar, Fairlane, Comet, Cyclone, Torino, Montego, and Falcon Disc Brake Rotors. 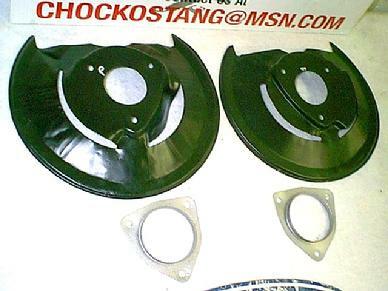 These are the Rotor Shields/Gravel Shields for the 68 - 73 Mustangs Cougar, and the 68 - 71 Torino Fairlane Comet Cyclone Falcon. Excellent Reproductions, come with Dust shields for rear Bearing/seals. 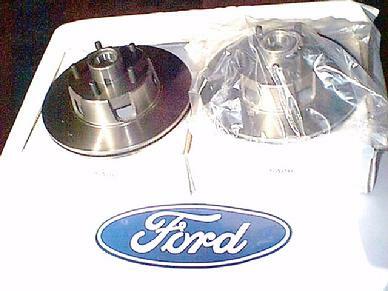 70 71 72 73 Mustang, Cougar, 70 71 Cyclone, Torino, Montego, Disc Brake Rotors.